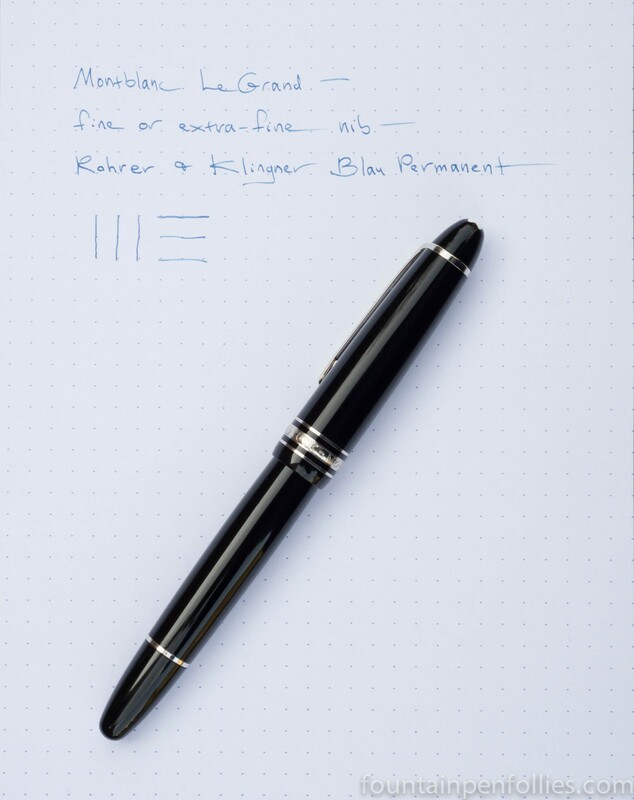 Montblanc LeGrand Platinum with fine nib. Sometimes when you’re using a lot of colorful, new or exciting inks, you just need to decompress and pick up an old reliable. I went for my LeGrand with platinum trim and fine nib, and Rohrer & Klingner Blau Permanent ink. Previous Post Washable Black Ink?